There is something very fishy about the fact that Washington and Kiev refused to release crucial data related to the MH17 catastrophe, while Russia, in contrast, provided all evidence in its possession in full compliance with the evidentiary requirements of the investigation, according to Dr. Paul Craig Roberts, a prominent American economist, former Assistant Secretary of the Treasury for Economic Policy and author. "Washington refuses to release the information from its spy satellite that was directly overhead at the moment of the airliner's destruction, and Kiev refuses to release its communications with the airliner that directed the airliner to change course and to fly over a combat zone," Dr. Roberts pointed out. "The Dutch or the Europeans, whoever it is that is responsible for investigating the downing of the Malaysian airliner MH-17, is unable to get a report released. What does this tell us? It tells me that the facts don't support the propaganda that Russia is responsible. You can bet your bottom dollar that if there was any evidence of Russia's responsibility, the report would have been out long ago," he stressed. However, while Washington can block the Dutch report on the tragedy it cannot completely falsify it. 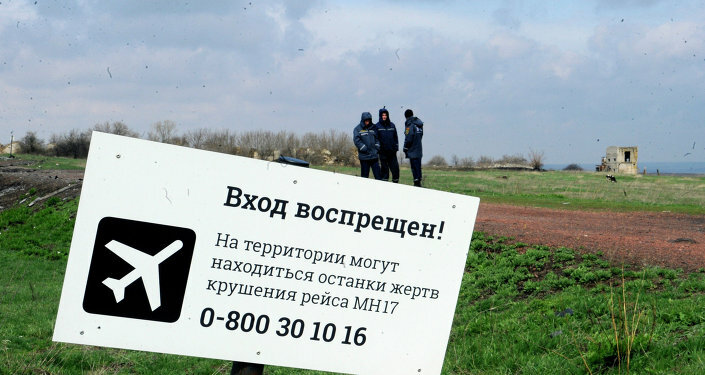 Thus far, Washington is racing against the clock to push ahead a UN International Tribunal on the MH17 airliner in hopes of gaining the results it wants. In order to prevent its "frame-up," Moscow had to veto the resolution in the UN, and now it is accused by the West "of hiding its complicity in the attack on the airliner and opposing justice for Malaysia," Dr. Roberts noted. Amid this storm of criticism the West has not taken a blind bit of notice that Russia continues to assist a thorough and objective investigation into the causes and circumstances of the crash. At the same time some experts express their surprise regarding the fact that there have been a lot of cases of civilian aircraft shot down by military, but a UN tribunal into these cases had never been initiated before. "So, why should it happen this time, when the tribunal has a great chance of being biased against Russia?" German aviation expert Peter Haisenko told Sputnik in a recent interview. "At some point the Russian government needs to understand that its faith in the West is a mistake and that when Russia relies on Western goodwill Russia cuts its own throat," Dr. Paul Craig Roberts warned.